Or is it the other way around, and art imitates life in this case? I was highly amused the other day, while researching some of Mario Bellini's typewriter designs for Olivetti, to discover that Bellini's design for the Olivetti Lettera 35 was influenced by a toy typewriter. But not just any toy typewriter. It was one based unfairly and squarely on Ettore Sottsass's original concept for the Olivetti Valentine. 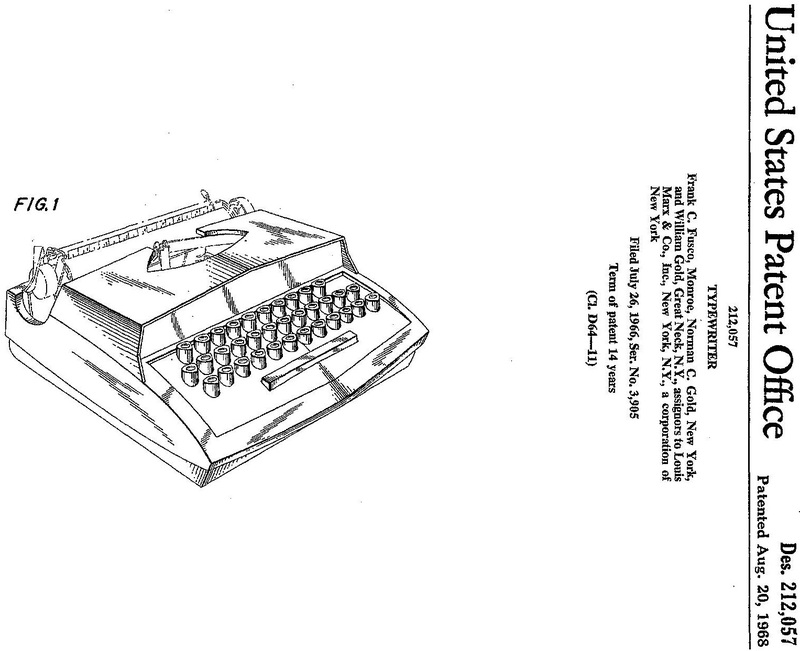 I say "unfairly" because there was no direct reference to the Valentine in the toy typewriter's design patent. Was this some sort of back-handed compliment from Bellini to Sottsass, via an American toy typewriter? If so, it was a very widely (or wildly)-drawn back-hander. Were Bellini and Sottsass friendly rivals, or dead set rivals? 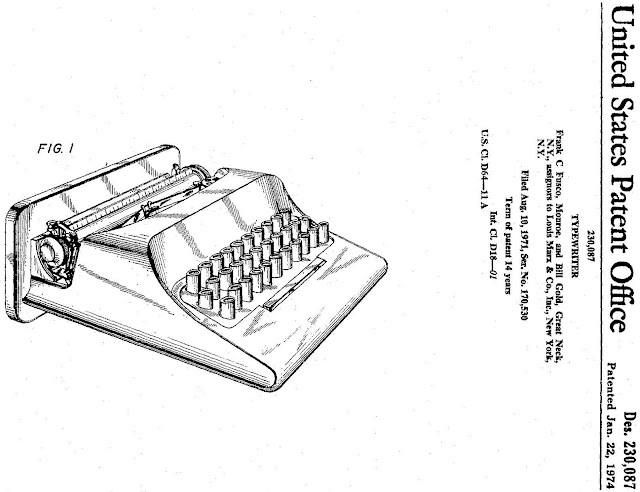 In applying for a patent in 1974 for his design for the Olivetti Lettera 35, Bellini referenced the Sears Adventure toy typewriter designed three years earlier by Frank C.Fusco, of Monroe, New York, and Bill Gold, of Great Neck, New York. Fusco and Gold assigned their design to Louis Marx and Company Incorporated, New York. 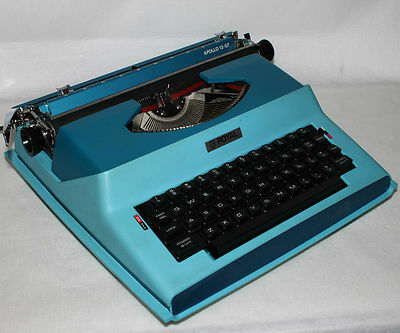 It was this toy typewriter that Richard Polt alerted me to when it came up for sale on eBay in the US last year. Both of us instantly recognised it as a blatant take-off of the Valentine. The absolute giveaway was the distinctive case which came with the Adventure, which is almost identical to the Valentine's. The funny thing is that Fusco and Gold did not mention the Valentine in their patent application. Instead, what they said was, "Shell Oil Company Catalogue, '24 Selected Gifts for 1971', received March 31, 1971, page 4, Olivetti typewriter item." By this, they clearly meant the Valentine, yet didn't name it. 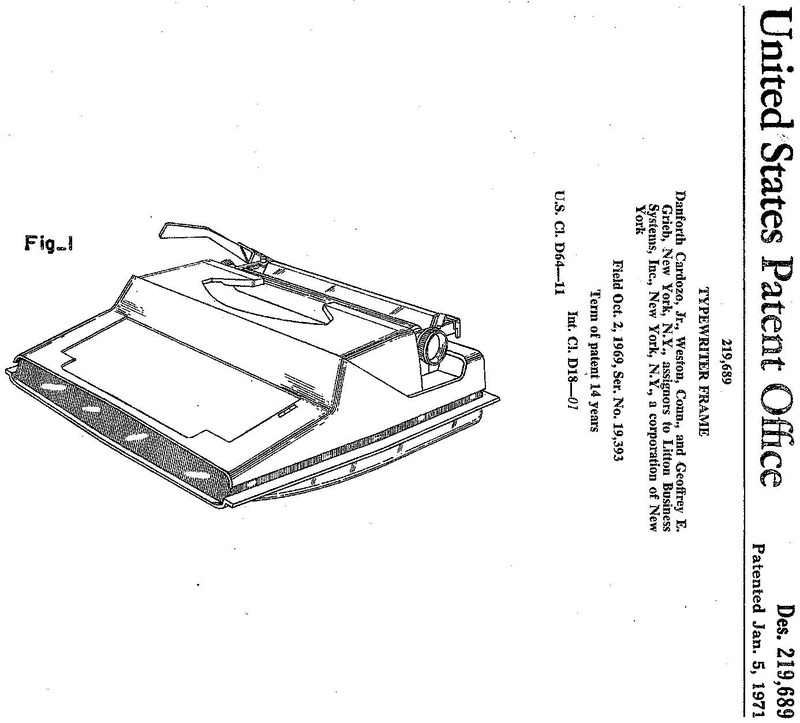 A typewriter that Fusco and Gold did refer to was another toy, one that the two of them, along with Norman C.Gold, had designed and assigned to Marx in 1966. It was marketed as the Montgomery Ward toy typewriter as well as a Marx toy typewriter. 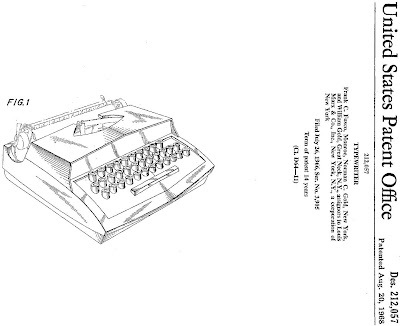 In turn, that earlier Fusco-Gold toy typewriter design was referenced by Danforth Cardozo Jnr, of Weston, Connecticut, and Geoffrey E.Grieb, of New York, when in 1969 they assigned to Litton Business Systems the design for the Royal Apollo electric typewriter. Who would have thought it? Toy typewriters influencing the designs of real typewriters! It's certainly a weird, weird world. 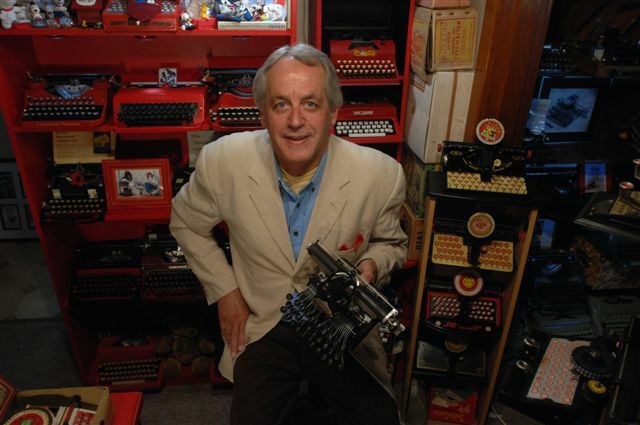 And the lesson is ... we should never scorn the humble toy typewriter! In response to Anon, I think the treatment of the back and the way it fits into its case are the giveaways, as you pointed out, Robert. Really an amusing tale of influences!